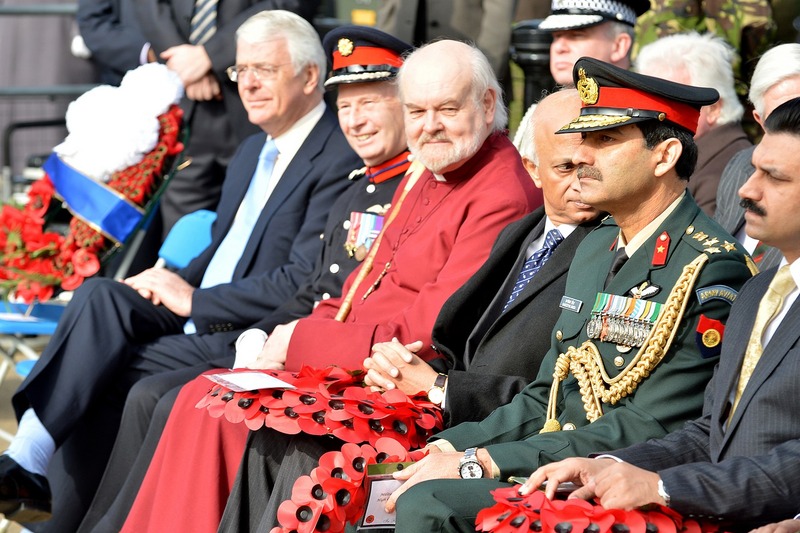 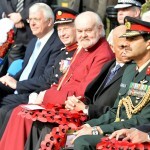 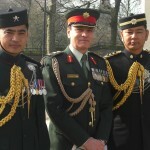 Every year since 2002, a short but moving Ceremony is held on Commonwealth Day, at the Memorial Gates to honour those Commonwealth Nations and Nepal who volunteered to serve with the Armed Forces. 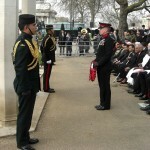 This year the Colonel Brigade of Gurkhas, Colonel J G Robinson, accompanied by the Brigade Secretary, Major N D Wylie Carrick and the two Queen’s Gurkha Orderly Officers, Captain Kumar Gurung and Captain Sureshkumar Thapa, attended the Memorial Gates Ceremony on 10 March 2014 to lay a wreath on behalf of all ranks the Brigade of Gurkhas in memory of those who volunteered from Nepal to serve in the Gurkha Brigade.Also present were: ex-Prime Minister Sir John Major, Firled Marshall Sir John Chapell and the Bishop of London. 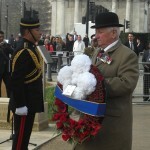 The Commonwealth Memorial Gates, located at the top of Constitution Hill in Central London, were inaugurated by Her Majesty The Queen on 6 November 2002. 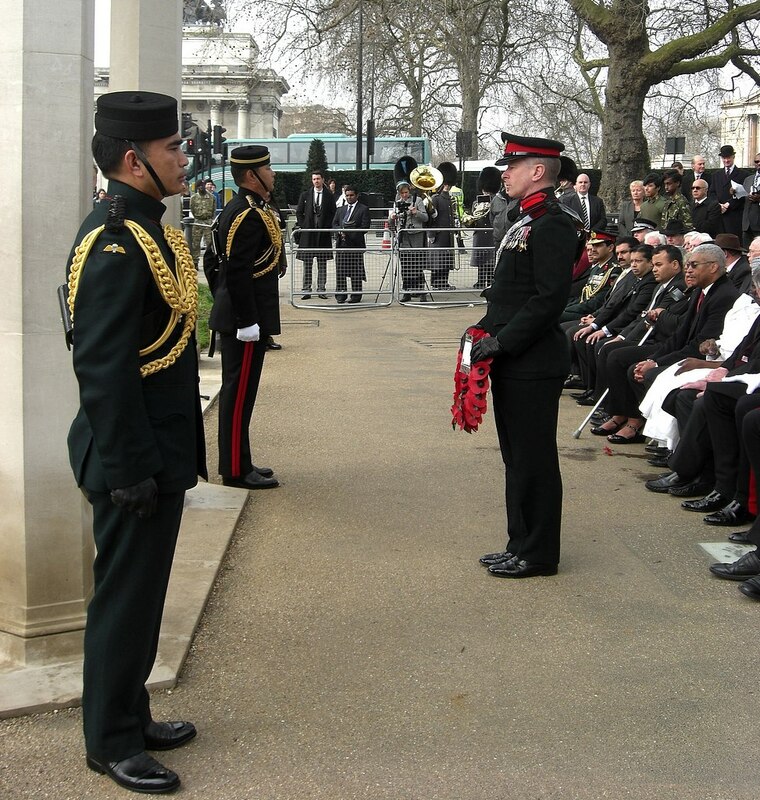 The Memorial Gates are dedicated to the people of the Indian subcontinent, Africa and the Caribbean who served in the Armed Forces during the two World Wars, in London, UK. 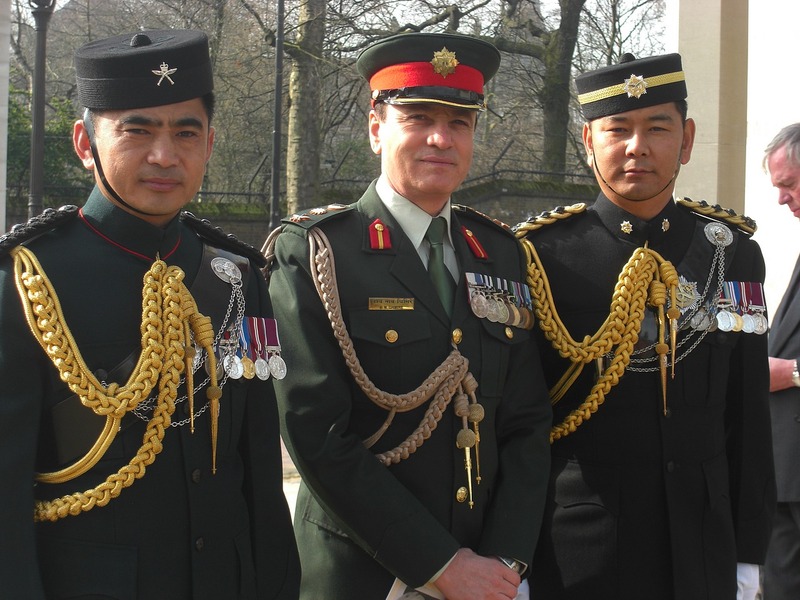 Significantly, the contribution made by Nepal is also acknowledged. 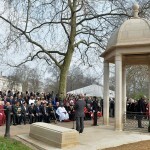 The names of all Commonwealth VCs, including the Gurkha VCs, are also engraved under the roof of the Cupola. 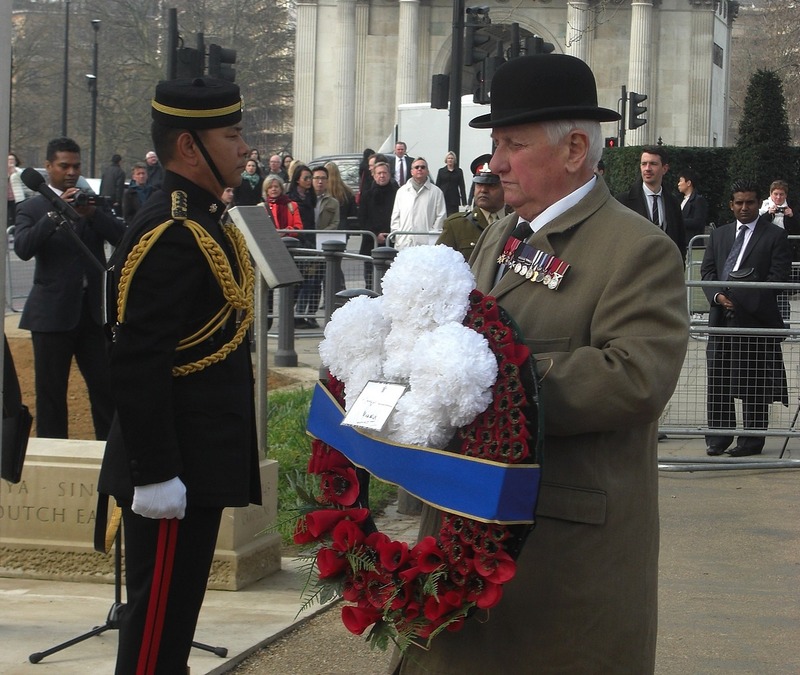 The notice on the gates read, “These Gates have been erected as a lasting memorial to honour the five million men and women from the Indian subcontinent, Africa and the Caribbean who volunteered to serve with the Armed Forces during the First and Second World Wars. 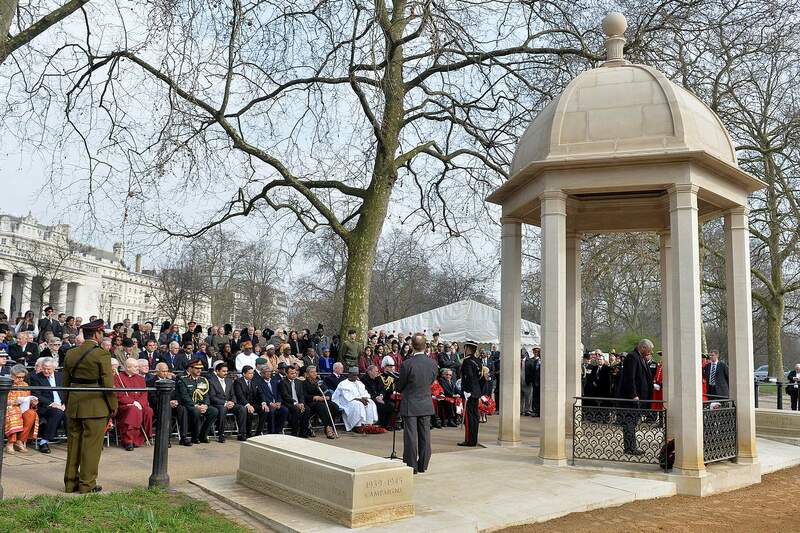 They also celebrate the contribution that these men and women and their descendants, members of the Commonwealth family, continue to make to the rich diversity of British society”.